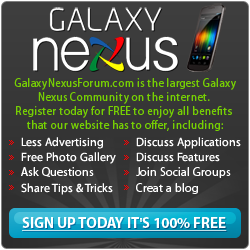 Below you will find a list of discussions in the Galaxy Nexus Polls forums at the Galaxy Nexus Forum - Samsung Galaxy Nexus Community. The Galaxy Nexus Polls forum is for discussion of: Post a poll and get the entire Galaxy Nexus community to vote!. How to recover deleted photos from samsung j5? How to recover deleted data from samsung j6? Poll: [POLL] Galaxy Nexus On-Contract Pricing? Poll: How is your Nexus dressed? How does your GNex battery last? Looking for Chinese input on this phone. Poll: How many paid apps do you own? Poll: Dark or Light Forum Skin? Poll: [POLL] What carrier will you purchase the Galaxy Nexus on?